Girlguiding is the leading charity for girls and young women in the UK with over 540,000 members and 100,000 volunteers. 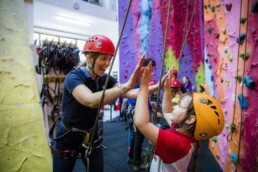 The charity aims to give girls and young women a space where they can be themselves, have fun, build friendships, gain valuable life skills and make a positive difference to their lives and their communities. 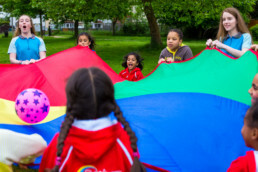 The organisation runs groups according to age – Rainbows (5 to 7 years), Brownies (7 to 10 years), Guides (10 to 14 years) and The Senior Section (14 to 25 years). Girlguiding put forward a 5 year digital strategy, ‘Be Our Best 2020’ to improve systems and processes to make guiding easier and reduce administrative pressure on volunteers. Central to this vision was a new self-service membership system, replacing Girlguiding’s 9 year old outdated solution. As part of their digital transformation and to support ‘Being Our Best’, Girlguiding had assessed how it interacted with its members and volunteers online. A modern membership portal would enable members to enrol easily, from any device, in any location. A portal would also give thousands of volunteers access to their member information at multiple levels (local, county and regional) depending on role. It would reflect the positive brand image of Girlguiding, and be flexible enough to grow with the organisation. Girlguiding wanted to support the management of guiding groups, build up a national picture of demand and supply, be more responsive to waiting lists and significantly improve their fundraising potential. Girlguiding’s existing bespoke legacy portal and membership system was over 9 years old and needed to be simplified. The technology was old, externally supported and increasingly costly and inflexible in terms of upgrading and customisation. Girlguiding also had growing challenges in providing secure access controls to meet the needs of the complex hierarchy in their volunteer structure. In addition, Girlguiding wanted to speed up the enrolment process for members and volunteers, nurture potential new recruits and ensure they had visibility of waiting lists. "We needed technology that was both fit for purpose for the 21st century, scalable and cost effective". Central to Girlguiding’s vision was a new self-service membership solution, replacing their outdated legacy system. Incremental Group was selected to deliver the new portal and membership platform based on Dynamics 365 Customer Engagement, Adxstudio, Power BI, Azure and Bing Maps. One login now gives volunteers access to membership enquiries and existing member data to update personal information. A training website provides help files, videos and webinars to help volunteer users familiarise themselves with the portal. Volunteers were engaged and consulted throughout the project, and as a result, user adoption is both high and enthusiastic. Girlguiding has really embraced Dynamics 365 Customer Engagement at the very core of the organisation. The portal provides seamless on-boarding of new volunteers, with tasks being completed in just a few clicks. After the vetting process, the system sends a questionnaire to character references (using Dynamics 365 Voice of the Customer), it then assesses whether the volunteer is approved via integration to the UK government’s DBS checking service. Volunteer skills can be added to help identify strengths for Guiding activities. At national level, Head Office can select volunteers based on skillsets and geography. Volunteers can also use secure ‘internal’ messaging – vital for volunteer collaboration and best practice. It is now easier for unit leaders to organise events. They simply add the event into the portal. Dynamics 365 automatically generates consent forms and emergency contact documents, giving valuable time back to volunteers. National award event admin is simplified with online registration facilities which volunteers accept or decline. One of the most significant challenges for the project was the scale and complexity of the data migration effort. Using Scribe Insight on Azure, Incremental Group was able to map and transform the data from legacy systems and ramp up the flow of millions of records into Dynamics 365. "We now have a truly modern and up to date portal that’s completely aligned to our values and objectives. It’s one of our key assets that allow us to fully support our members and volunteers proactively and grow the organisation." Secure, safe and highly available – As security is built into Dynamics 365, the effects of any cyber-attack can be mitigated round the clock and Girlguiding benefits from Microsoft’s Trusted Cloud principles of security, privacy, compliance and transparency. Faster enrolment – The easy-to-use agile portal has already been accessed by upwards of 70,000 people and will be an important driver in increasing membership. Accessibility and ease of use – The portal is compatible and accessible via all devices which also helps the volunteers service the membership effectively. Many members now access the portal every day, with 55% of members accessing via mobiles or tablets. Strategic development opportunities – Advanced reporting capabilities give relevant insight into the Girlguiding world and enables more informed decision-making, from identifying which units are over-subscribed, to managing resourcing issues and spotting opportunities. Safeguarding – Increased layers of online security with the Dynamics 365 cloud solution and third party penetration testing ensures member data is safeguarded and URL manipulation is prevented. Seamless data migration into the Cloud – Following successful data migration in Azure, Incremental Group innovatively meshed Power BI into the portal and the data is all filtered intelligently so volunteers can see statistics for their part of the organisation. Efficient member development – Commissioners can now see who has earned length of service awards and ensure timely rewards to recognise valuable volunteers. 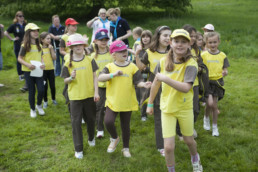 Visibility of qualified volunteers – Girlguiding has oversight of vital roles and qualifications such as first aiders. Volunteers can also browse and express an interest in achieving specific qualifications. "We’re excited to say that the best solution for our needs, today and in the future, is Microsoft’s Intelligent Cloud, implemented by our trusted partner, Incremental Group." Girlguiding now encourages its volunteers to participate in generating new ideas for Dynamics and continuous improvement. Dynamics 365 Customer Engagement is flexible enough to support the organisation’s drive towards 2020, and their desire to add layers of function-specific change to this core platform. "The consultants that worked on the project, and who continue to work with us, are extremely knowledgeable both about Dynamics 365 and the portal." Find out how we could help your organisation achieve success with Dynamics.